E.U. High Representative for Foreign Affairs and Security Policy, Catherine Ashton, brokered landmark agreement between Serbia and Kosovo reached on 19 April 2013 in Brussels. Secretary-General Ban Ki-moon today welcomed a “landmark” agreement between leaders of Serbia and Kosovo in the context of the Belgrade-Pristina dialogue facilitated by the European Union, voicing hoped that the new accord would help usher in a future of peace and stability in the Balkans. “The Secretary-General congratulates and commends the leaders from both sides for their steadfast determination and hopes that the agreement will bring about a brighter future and lasting stability to the region,” a statement issued by Mr. Ban’s spokesperson announced. Kosovo declared independence from Serbia in February 2008 following years of ethnic tensions, but Serbia has not recognized the declaration. The EU has since been facilitating dialogue between the parties on a range of practical matters. Tensions between ethnic Serbs and ethnic Albanians have flared up over the years, particularly in the north of Kosovo – which has an ethnic Serbian majority, unlike the rest of Kosovo, where ethnic Albanians are the majority – sparking concerns from UN officials. Brokered in Brussels by the EU High Representative for Foreign Affairs and Security Policy, Catherine Ashton, the new agreement is an important step in normalizing relations between Belgrade and Pristina and contains provisions allowing ethnic Serbs living in Kosovo’s north access to their own police and appeals court, according to initial media reports. “The United Nations stands ready to assist the parties in this endeavour,” the statement added. 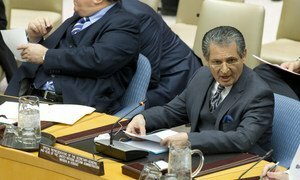 A senior United Nations envoy warned today that ongoing tensions and incidents on the ground must not be allowed to jeopardize the political talks between Serbia and Kosovo which have resulted in important positive developments and must be permitted to achieve their potential.